Come to the Library Conference Room to learn about grants, eligibility, and application process. 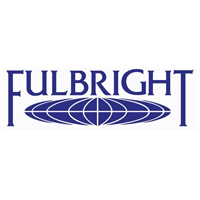 Are you a junior, senior, graduate student or recent alum interested in applying for the Fulbright U.S. Student Program? If so, this upcoming information session is for you! Join the Office of Study Abroad and Dan Hellinger, professor emeritus and Fulbright campus advisor, on Tuesday, April 17, for an information session on the Fulbright U.S. Student Program. Learn more about the available grants, eligibility requirement, and the application process. The Fulbright Program is designed to increase mutual understanding between the people of the United States and people of other countries. The Student Program offers fellowships for U.S. graduating college seniors, graduate students, and young professionals to study, conduct research, and/or teach English abroad. It provides participants – chosen for their academic merit and leadership potential – with the opportunity to study, teach, and conduct research, exchange ideas and contribute to finding solutions to shared international concerns. Times:12 p.m. and 4:30 p.m.
For additional information, please contact the Office of Study Abroad or Dan Hellinger. Visit the Facebook page for this event.